PITTSBURGH STATE, Kan. — The Iowa Central men’s track team grabbed its second straight indoor national championship here on Saturday. The Tritons (124 points) finished well ahead of South Plains (104.5). The Iowa Central women (116) were second behind champion New Mexico (121). The men earned three national golds, while the women had four champs. Jared Seay scored 5,413 points to win the heptathlon. Seay was first in the 60 dash, long jump, high jump and 60 hurdles. Sterling Mungro won the weight throw with a toss of 20 meters. Odaine Lewis was the triple jump champion with a leap of 15.70. On the women’s side, Agnes Mansaray doubled up with crowns in the 600 (1:30.10) and the 1000 (2:55.29). Nelda Huggins won the 60-meter dash (7.31) and Nessa Mathews won the weight throw (19.38). Finishing third for the Triton men were Malek Evans (weight throw), Jah-Nhai Perinchief (triple jump), Esu Alemseged (mile and 1000). The 4×800 team of Dan Giliani, Justin Main, Justin Bentham and Alex Sanford were fourth. Ashenafli Hatte was fourth in the mile and 1000. Ndiaga Seck and Malik Beverly were sixth in the 600 and 200 respectively and Caleb Ogden was seventh in the 400-meter dash. Annasta Forrester was fourth in the high jump for the women. Also crossing fourth were Mesha Newbold (60 hurdles) and Eboni Coby (200). Coby (60-meter dash) and Bach (mile) were fifth. Forrester (triple jump) and Latoya Hunt (800) were sixth. The 4×800 and 4×400 relay teams were seventh. 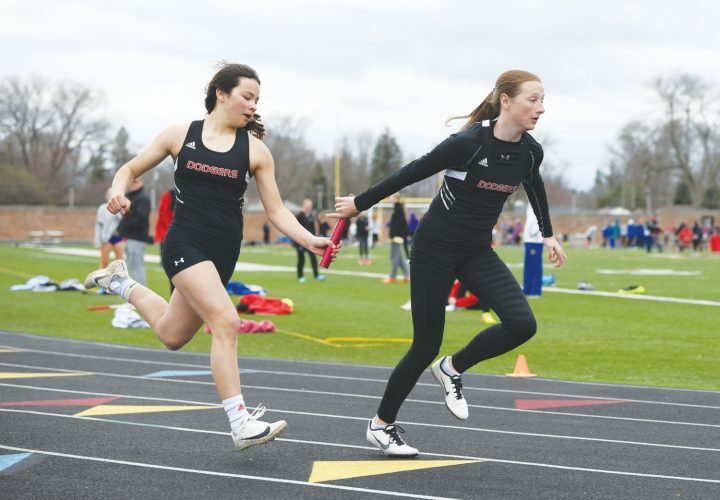 Aaliyah Regg Wajid (1000) was eight, while Julia Odir (triple jump) and Sierra Stucky (mile) were ninth and 10th, respectively.